There are two stages to an electrical rewire, be it a commercial electrical installation or a domestic electrical installation. Stage one is the first fix and stage two is the second fix. 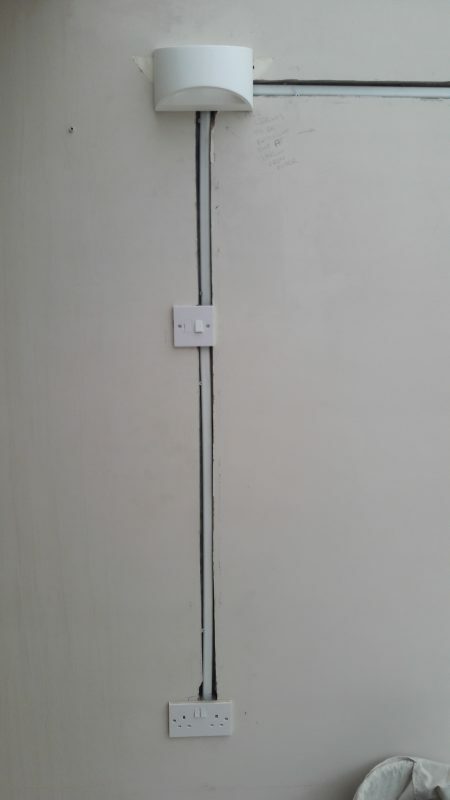 In this section we have included images of work in varying stages of the first fix. During this stage the original electrical infrastructure is removed and the wiring, which is often hidden underfloor boards and embedded in walls, is laid. 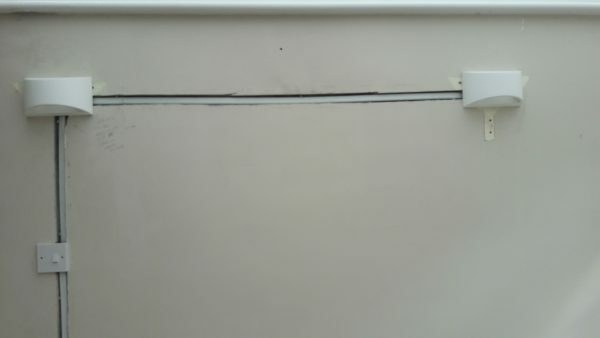 Floorboards are lifted up and walls are chased to accommodate the cable network which is enclosed in plastic trunking as required. The positions of the plug sockets, light switches, Spot lights, telephone and aerial points etc are also chased into the wall at this stage. This is the dusty part of the job.